For Luchan, a Laotian hydro-power plant worker, 2019 is turning out to be a promising year, both personally and professionally. The first unit of the second phase of the Nam Ou Cascade Hydropower Project, which Luchan joined five years ago as a bulldozer driver, is nearing completion and is expected to begin generating power in the coming months. At the same time, Luchan, who only has one name, said he will soon have enough savings to buy a pickup truck for his parents to start a small business. The Nam Ou project, with an installed capacity of 1,272 megawatts, is invested in and constructed by Power Construction Corp of China, or PowerChina, at a cost of $2.73 billion. As a key part of the China-led Belt and Road Initiative, it is the first project undertaken by a Chinese-invested company to cover an entire river. The Nam Ou River, a major tributary of the Mekong in Laos, originates in Yunnan province in China, and flows for 475 kilometers in northern Laos through the provinces of Phongsaly and Luang Prabang. The project, which began in 2011, has created reservoirs with seven levels. The first phase, comprising plants on levels 2, 5 and 6, has generated 4 billion kWh since it started operating on Jan 1, 2017, until March. The second phase, comprising plants on levels 1, 3, 4 and 7, is expected to be fully completed by the end of next year. The project will provide 12 percent of Laos' electricity supply, according to PowerChina. Luchan, 25, is one of many Laotian workers at the site who has received an official certificate from PowerChina as a special equipment operator. Like many of his fellow workers, this is the first skills certificate he has received. "Each month, I will go back home and use my salary to support the family," said Luchan, who earns about 4.5 million Laotian kip ($525) a month. "We don't need to worry about money when we want to buy something." The minimum monthly wage in Laos was raised to 1.1 million kip on May 1, according to Xinhua News Agency. In Luang Prabang, a UNESCO World Heritage Site, the average monthly salary is about $200 after tax, according to the research website Numbeo.com. Earlier this year, Luchan's two older brothers joined the project as bulldozer drivers on the night shift. The three siblings are among some 300 to 400 Laotian workers at the construction site, accounting for more than 50 percent of the employees at the level-1 plant. 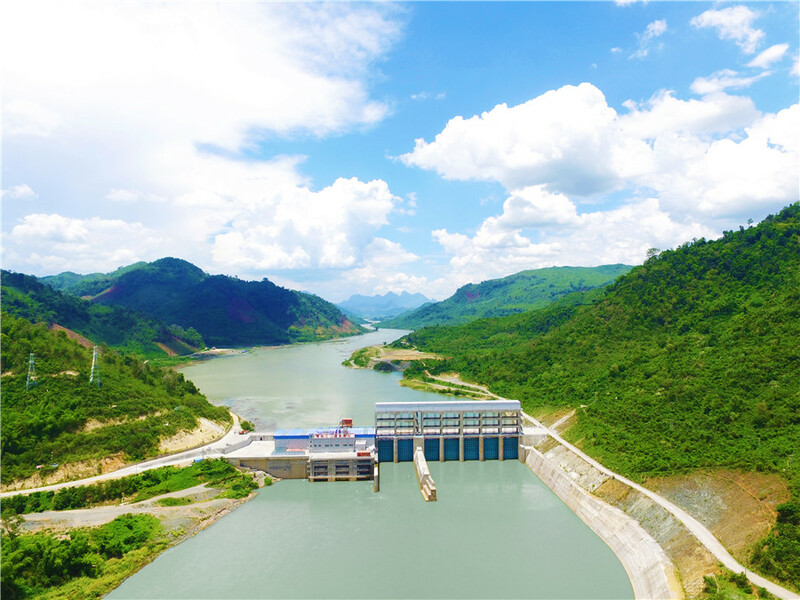 Zhang Hua'nan, assistant to the general manager of Nam Ou Power Co and project manager of the level-1 plant, said: "Laotian people are very friendly and key to the construction of the hydropower station. They have played irreplaceable roles in the project. "Many people like to work with us to earn a better income." Zhang said the monthly salary is normally about 3 million kip for workers, while employees in the back office earn 2.5 million kip. For jobs requiring higher skills, such as a bulldozer driver, salaries range from 4 million to 5 million kip. It is important to attract Laotian employees through economic support and other benefits such as a vacation system, Zhang said. "Only when local people's lives have been improved can they appreciate being involved in a project that benefits them," he added. Chanthala Phanthasith, an international trade graduate from Leshan Normal University in Sichuan province, noted the appeal of PowerChina's worker benefits. She joined the Nam Ou project in October as a senior manager, training and supervising all 22 Laotian service staff members on site. This month, she will celebrate her first songkran, the Laotian New Year, since starting with the company. "I feel great that as a Laotian employee I can have the whole three-day holiday (from April 14 to 16)," she said, adding that the company also organizes activities for other holidays. Soudaphone Bounsoulivanh, one of four dispatchers from Laos at the level-2 plant, joined in August. Having majored in Chinese language and literature, the Yunnan Normal University graduate initially wanted to be a translator, but was assigned to monitor the hydrologic regime. Her job is critical because the real-time data of precipitation and water flow across the river is not only crucial for hydropower management, but also for the Laotian government to draw up economic plans. "Even though I didn't know anything about the job, the company was still willing to make me the offer and provide training," she said. "My (Chinese) colleagues are all very nice. They always help me whenever I have questions. "Working here allows me to improve my professional skills so I can make contributions to my country." Va Ya Yong Toua, 24, from Xieng Khouang province in northeastern Laos, joined the Nam Ou project in March last year. The former waiter heard about an operational attendant's job through his Chinese teacher in Luang Prabang. He now earns twice as much as before. "When I joined the company, I found a Chinese colleague to teach me things at work," he said. "Now, we have three more Laotian colleagues who started after me and it is my turn to teach them." According to PowerChina, the Nam Ou project has provided more than 8,000 job opportunities for local people. In addition to recruiting for frontline construction and operations, the company has promoted locals to managerial roles, including contract management and employee training. Localization is an important element of the project, said Huang Yande, general manager of Nam Ou Power Co. Huang is also the assistant general manager of PowerChina Resources. Local employees account for 51 percent of recruits in the first phase and 77 percent in the second. But Huang said there are comparatively fewer local operational staff members at the power station, because of a lack of qualified talent. He hopes to increase the proportion to 40 percent within the next three years, and eventually to over 70 or even 90 percent. The Nam Ou project has been developed with a build-operate-transfer model, under which the operation will be handed over to the Laotian government and people after Power-China manages it for 29 years. "The ultimate goal for the project is not about bringing people from China here, but to really benefit the country where the project is located," Huang said. 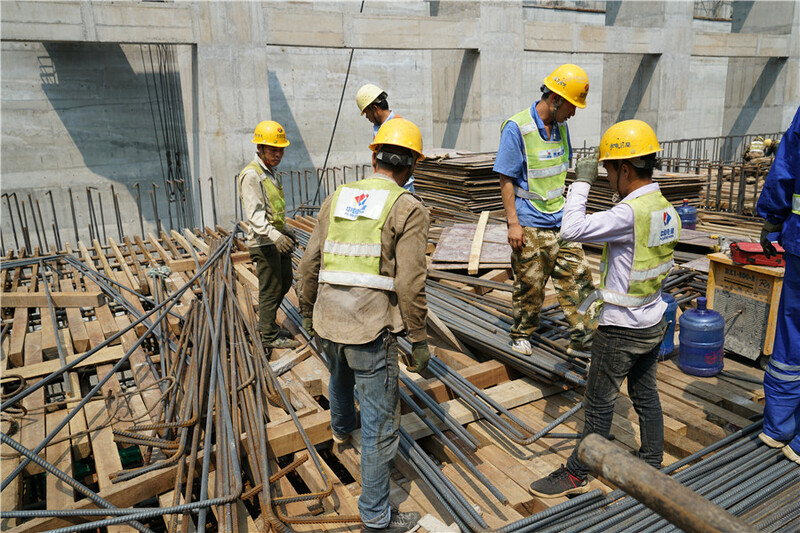 In mid-April, the first batch of 52 new Laotian employees will return from a four-month training program in Sichuan. "When Chinese companies expand their business overseas, exporting China's standards, equipment and technology, it is also important to use our capital to promote the rapid development of the country," Huang said. "Laos aims to become the 'battery of Southeast Asia', but it also needs others' help to build the battery so its power can flow to other countries like Thailand, Vietnam, Cambodia, even Singapore and Malaysia." The Nam Ou project recently launched a website in Laotian, Chinese and English, allowing users to submit comments, questions or even complaints. "We are very open-minded (about public opinion)," Huang said. "As a Chinese company, we hope to use our ability to help other countries and break the development bottleneck. Only in this way can the project be sustainable." Although construction work is coming to an end, bulldozer driver Luchan hopes to continue working with PowerChina on other projects in Laos. Senior manager Phanthasith aims to return to China for postgraduate studies, while dispatcher Bounsoulivanh would like her youngest brother, who is learning Chinese, to join the company. "After nearly 30 years, the project will be handed over to the Laotian government, so I think it is a good chance for him (to find a stable job)," she said. Operations attendant Yong Toua brought his wife to the plant, and she now works there as a chef. The couple lives together in a dormitory for employees. "Just like many Chinese people, we want to save money and buy our own house and car as soon as possible," he said. The benefits of such a massive project go beyond the undertaking itself. Yong Toua praised the Nam Ou project for improving local people's lives. "Before the project started, there were some places in Laos that suffered from electricity shortages," he said. "The company has also built bridges and roads, making it easier for people to travel in the region."